Deepening of the corporate bond market is one of the prime objectives of the central bank and several industry and regulatory bodies in the country. Corporate bond market should be viewed not in its narrow sense of bonds issued by banks and corporates but must encompass three different asset classes and types of issuers. These are corporate bonds, municipal bonds and securitisation through pass through certificates (PTCs). Globally, PTCs are securities issued by a trust which is expected to receive certain cash flows from underlying asset(s) and the same are re-distributed to investors of PTCs. The very name suggests that the cash inflow is by and large passed through to investors under a pre-defined water-fall mechanism without tax implications. There are enough and more supporters of the corporate bond market working towards bringing about changes in regulations that affect corporate bonds issuances. However, when it comes to securitisation, discussions are confined to closed doors with only a few affected parties raising issues albeit in shrill voices. The change in tax law introduced by the government of India (GoI) earlier this year with respect to taxing income distributed by securitisation trusts has serious negative implications in the long-run for infrastructure financing. Effective June 1, 2013, the Income-tax Act 1961 was amended (Section 115TA) so that Indian securitisation trusts are required to pay additional tax on income distributed to investors. The rates range from 0% (if the investor is exempt from tax) to 25% (if the investor is an individual or Hindu Undivided Family (HUF)) to 30% (for all other categories of investors). The tax is on distribution, which is comparable to dividends. And, the obligation of paying the tax has been cast on the trustee. Prior to the amendments, tax on income distributed by securitisation trusts was charged and paid at the investor level and, in many cases, investor classes enjoyed a tax-exempt status. By ignoring this key factor, the new dispensation seeks to tax distributions across the board, thus potentially diluting transaction economics and viability. Securitisation transactions originated by banks, non-banking finance companies and housing finance companies covering a host of asset-backed securities (ABS) and mortgage-backed securities (MBS) are affected by the application of this new stipulation of distribution tax. However, the potential disincentive it can pose to infrastructure developers in the long run is considerable. As more and more projects become operational and establish decent performance track records, sponsors would contemplate accessing capital markets for re-financing their bank debt through the issue of PTCs via bankruptcy-remote vehicles or securitisation trusts. In the larger context of the governments stated objective of galvanising bond markets to part-finance the ambitious $1 trillion investment in building Indias infrastructure over the next five years, the aforesaid tax law, acts as a dampener to companies seeking innovative instruments to widen their financial tool box. One needs to consider the infrastructure financing model in developed markets as well. Banks lend to projects at the initiation stage and undertake the project completion risk. Once the projects are completed, the exposure is sold in capital markets through various instruments including securitisation. Banks need to reduce their infrastructure exposure especially for those completed and operational projects by way of a take-out. Securitisation of cash flows from such projects is one very important method. The key issue with the new guidelines is that the cash flows are reduced at the trust level. Though the instrument is called pass through it actually does not behave like a pass-through. There is cash withheld at the trust level and only the balance amount is passed into the hands of the investor. Assuming that by and large the investor need not necessarily be tax-exempt, this will be a huge disincentive. This impacts the investment appetite of the investors for such instruments. Besides, there arise cash flow mismatch issues. Listed below are a few illustrative structures in the infrastructure sector where this legislative amendment could pose a deterrent to the furtherance of capital market issuances via the PTC route. Banks ability to sell their loans (of operating infrastructure projects) to infrastructure debt funds (IDFs) by issuing PTCs could be adversely affected. Given capital constraints, lending capacity can be freed up only if the financing of infrastructure assets migrates from the bank loan market to the fixed income market with long-term investors. Airports Receivables including ADF/UDF Airports wishing to securitise dedicated revenue streams such as an airport development fee (ADF) or user development fee (UDF) although in most instances such transactions tend to get done within the airport company itself and not necessarily through a SPV set up purely for this purpose. Power utilities seeking to raise capital (to refinance current high-cost debt or fund a capex programme) by securitising cash flow streams established under legislative or regulatory authority. 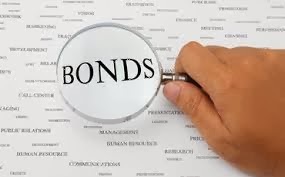 A very widely used capital market product in the US, utility tariff bonds, as they are generally referred to, are secured by collateral in the form of a dedicated special tariff. Large power conglomerates planning to securitise cash flows from an identified power asset (say, one amongst a portfolio of many generating plants) by leveraging on its possible unique features operating track record, assured fuel supply, financially strong off-taker counterparty. Pooled municipal bond issuances a trust issuing credit-enhanced bonds secured by repayments from loans extended to a collection of municipalities for implementing specific infrastructure development projects. Pooled finance programmes and similar leveraged municipal loan pools enable government entities, especially a pooled finance vehicle at the state level, to fund the infrastructure needs of various municipalities such as water and sanitation facilities, roads, bus stands, and other public amenities. The idea of securitising cash flows from a pool of assets can be extended to the world of privately-built, financed and maintained infrastructure as well. Mexico has successfully demonstrated capital market appetite for pooled toll road project financing. The individual project SPVs and project concessions continue as before, but the debt is refinanced using a master trust structure that credit-enhances the senior debt by pooling multiple project revenues. The financing consists of the bundling of debt from several separate toll road projects into one financing trust. Credit enhancement is achieved by cross-collateralisation through the pooling of project revenues and portfolio diversification. Having elaborated on the negative implications of the change in tax regime for infrastructure finance, it is also necessary to stipulate a couple of caveats in order to balance the criticism. One, the new law is applicable only for income distributions by securitisation trusts and not to other vehicles that may be employed for raising debt such as operating companies or companies that are special purpose vehicles. However, these alternate vehicles may not be as tax- efficient as trusts are. Two, a reversal of this tax law will, no doubt, have loss of revenue implications for the exchequer. That said, the benefits from facilitating flow of long-term investment from fixed-income markets into financing infrastructure would more than offset the revenue loss. At this juncture, India needs to equip itself with options that would allow issuers in the infrastructure sector to use the medium of capital markets to fund the ever-expanding need for finance. The aforesaid tax amendment serves the opposite purpose besides hurting the overall development of the bond market.